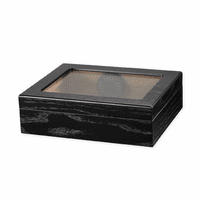 FEATURES/SPECS This personalized travel humidor is a great way to carry up to five cigars safely and with style. 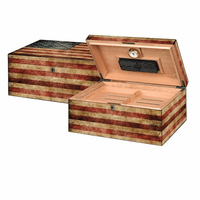 It is made of two woods, a maplewood body with rosewood accents along the edges. 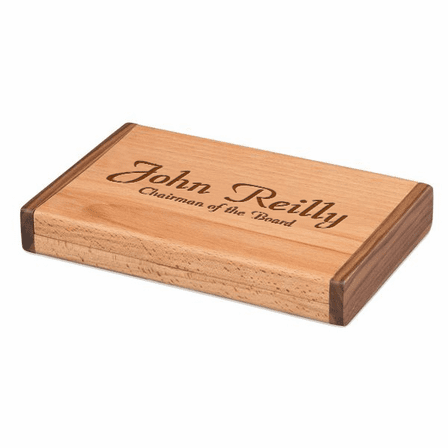 Add a personalized touch with the laser engraving of your choice right into the maplewood. 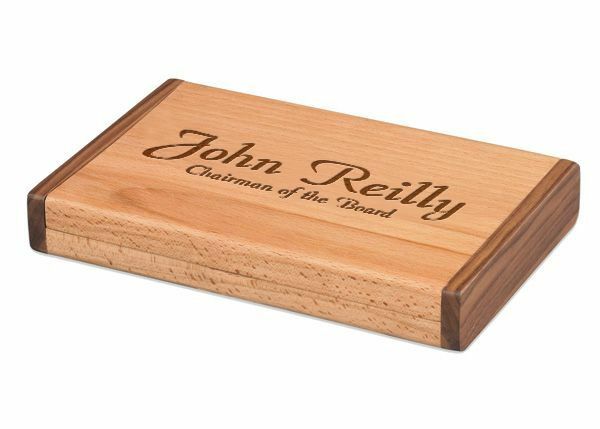 This customized travel humidor is great as a gift for your wedding party or for a milestone birthday for a buddy. 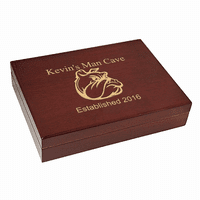 It comes packaged in a gift box, includes free customization and ships out the day after you place your order. Dimensions: 8 3/4" x 5 1/2" x 1 1/4"
Got this gift for my husband's 30th birthday. Engraving was beautiful, was a little hard to open at first. I wrote to the company cause I didn't want to break it when opening. They got back to me right away. I'll definitely be ordering from this company again!! Absolutely exceeded my expectations! Gave this as a gift to my dad on my wedding day and he absolutely loves it. Fast shipping also!! Definitely recommend this product. I ordered this for a gift for a friend of mine. It looks awesome! ProsLooks great, engraving is really nice. 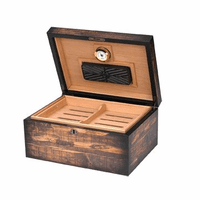 I was very impressed with the engraving and the quality of the 5-cigar travel humidor. Great item for the price.